The RAZZLEDAZZLE salon franchise team will guide you through the site selection process, start-up design, build-out construction, and maintenance of your ongoing business.  A dedicated franchise business consultant who visits your barbershops periodically to provide ongoing analysis, coaching, and assistance in meeting key objectives and attaining benchmarks. Monitors all sales and inventory activity. Orders and transfers inventory electronically. Creates comprehensive reports covering all aspects of the business. We will provide coaching, consultation, and assistance for grand openings. Identifying market and population trends and market conditions. Strategic planning and promotional strategies. The RAZZLEDAZZLE salon franchise team will guide you through the site selection process, start-up design, build-out construction, and maintenance of your ongoing business. We offer decades of experience regarding property acquisition and establishing a strong presence in your region. We will share this critical knowledge with you as you continue to grow your business. Aiding in your assessment of potential business sites and markets and guiding your final selection of the best site location in your market. Providing franchisees with market analysis on site locations before moving forward with a first lease or lease renewal decisions. This will enable franchisees to acquire the best possible locations at start-up and as business evolves. Ensuring each location meets the RAZZLEDAZZLE Barbershop design and build-out construction standards for optimizing space. Monitoring all phases of the build-out process to keep all aspects of construction running smoothly and making any necessary adjustments as the need arises. First-class aid with business oversight, financial management, customer service, and staff recruiting. Regularly scheduled conference calls to discuss services, sales, and personnel training. Meet with other fellow franchisees at a 3-day annual event where attendees can meet with Elena Linares, RAZZLEDAZZLE’s founder, as well as network, learn, and share strategies for growing your franchise. We provide ongoing hands-on training that will assure that barbers and stylists will be the forefront of those providing quality hair care services in a competitive industry. Hair trends and styling techniques are continuously evolving. RAZZLEDAZZLE is dedicated to ensuring that our franchisees are fully aware of national and regional trends in both styling and products. Our goal is to ensure that your clients love how they look and feel after leaving your RAZZLEDAZZLE Barbershop. We will provide training classes for you and your staff in various formats – in person, phone, video conference, and/or other web-based media. The cornerstone to an effective growth strategy is a strong marketing plan. Your marketing plan initiates before your RAZZLEDAZZLE Barbershop salon franchise opens its doors. We’ll share a wealth of marketing knowledge with every franchisee to help ensure maximum market impact. Product sales have the potential to generate a large portion of your shop's revenue. Franchisees will be provided with a list of top-quality products selected by our experts: products that will provide clients with the highest quality and desired results. To date, RAZZLEDAZZLE Barbershop operations offer a selection of products from the following brands; but be advised that future product selections may be expanded beyond these brand names. We will provide startup support for the financial management aspects of your RAZZLEDAZZLE Barbershop salon franchise and we’re dedicated to providing comprehensive support to all franchisees. This is just one of the reasons why we provide such an ideal opportunity for both experienced franchise operators and first-time franchisees.